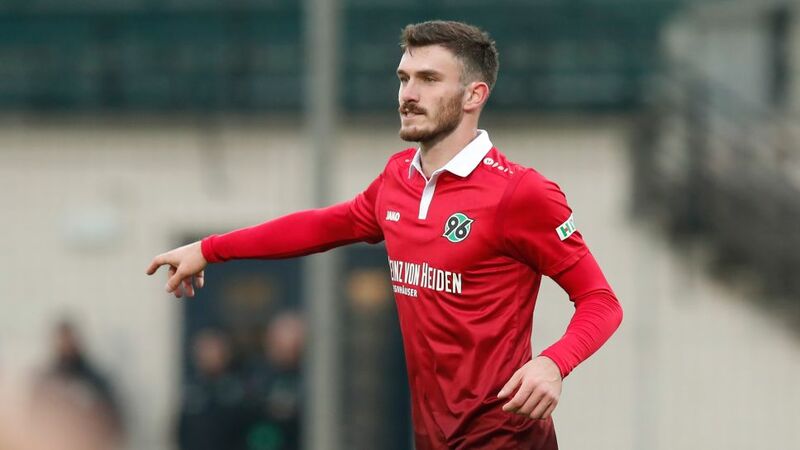 Hannover’s new loan signing, Josip Elez, may only be 23, but the centre-back already has experience of a number of European leagues, including time learning from Bundesliga and Germany great Miroslav Klose at Lazio. The youngster left his hometown club of Hajduk Split as a 19-year-old in 2013 to sign for the Italian Serie A side, whom Klose had joined from Bayern Munich two years earlier. Elez never made a first-team appearance for the Italian Eagles, but the defender was able to get up close and personal with Germany’s all-time leading goalscorer during their time together in Rome. It meant the teenager had to learn quickly, as he was constantly pushed in training. Speaking to the Hannover club website, Elez said of his time up against Germany’s best, "You could never let Miro out of your sights. A momentary lapse in concentration, and he was gone." Watch: Miroslav Klose's Bundesliga highlights, featuring plenty of somersaults! Yet it was more than Klose’s ability in training that caught the Croatian’s attention; it was his effort and commitment. "What impressed me about Miro was that he gave his all in training despite his age and everything he had achieved in his career. That’s how I approach training now, by giving my all." There are not many better to learn from as a youngster, and with a FIFA World Cup around the corner in the summer, seeking inspiration from the tournament’s all-time record goalscorer is not a bad idea either, despite their differing positions on the pitch. However, the Croatia U-21 international claims he isn’t thinking about the tournament in Russia. "The World Cup isn’t really in my thoughts. Competition in the Croatia team is of course really high. If I do my job well, the call-up will come one day, but I’m not thinking too much about that right now." It’s the sort of patience that has marked the still relatively young career of Elez. After signing for Lazio, he was loaned out to four teams in four different countries, spending six months at then third-tier Grosseto in Italy, another six months with Hungary’s Budapest Honved and a season at Aarhus in Denmark before returning to his native Croatia with Rijeka, where he went on to win a league and cup double in his first season at the club. "I always wanted to improve and take as much as possible with me from different clubs," Elez reflected. "It’s important for a young player to gain experience." Despite moving to Hannover on loan until the end of the season, the Croatian is not putting himself under additional pressure: "I know things don’t always work out immediately. If something doesn’t come off, I go away and work on it so it does." Elez is receiving support from his new coach Andre Breitenreiter in that area, too. "The coach is helping me as best he can and trying to bring me up to speed on the team’s style of play and way of thinking. He told me not to go crazy about things." The defender has also been full of praise for his new teammates: "I was welcomed well by the team. There’s a really good atmosphere in the changing room and I think I’ll settle in quickly here." Having featured in Hannover colours for the first time in their winter friendly win over Paderborn, Elez could make his competitive debut for the club in the Bundesliga against Mainz on Saturday.